Was one of your New Years’ Resolutions some extra money saving? If you’re hoping to keep the momentum going through February and into March, finding ways to cut your electricity bill always helps. Upgrading your lighting to LED is one of the easiest wins here, but can be confusing if you don’t know your Kelvin from your lumens. But that’s enough numbers for now. In terms of a technology upgrade, it’s long overdue. Halogens are a pretty old lighting technology – the first one was patented for commercial use back in 1959. LED lighting continues to drop in price and improve in performance and efficiency, and with many versatile applications, is both the present and the future. Which halogen light bulbs are being phased out? 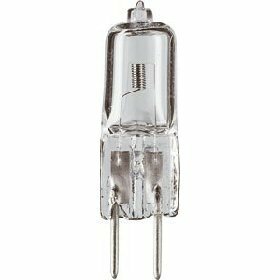 So to confirm, from 1st September 2018, pear-shape (GLS) halogen bulbs will not be able to be sold any more. Mains voltage (usually the GU10 fitting) halogen spots were phased out in 2016. Some 12V halogen spotlights were unaffected by the 2016 phase out as they could achieve the current minimum energy efficiency standards. It'll be lights out for halogen GLS bulbs from September 2018. Less common fittings like the G4 and G9 (below) and R7s will still be available as there are not so many options for more efficient alternatives. Will we see some panic buying beforehand? Will retailers be in a rush to get rid of excess halogen stock? 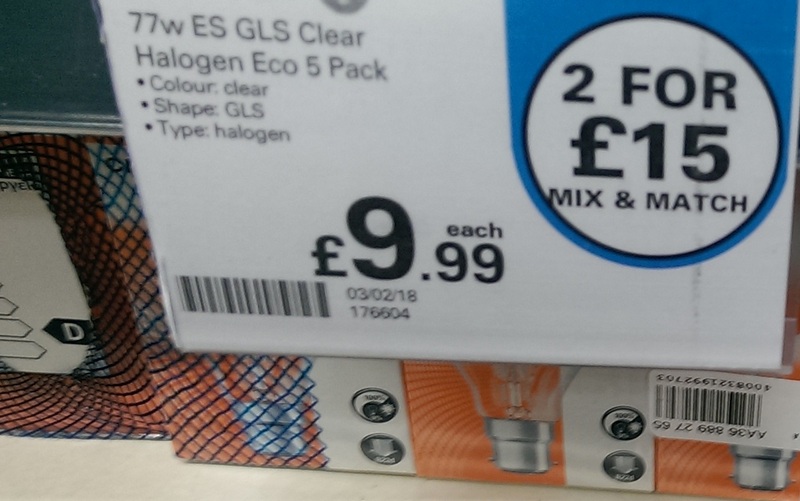 Maybe - and it's possible that there will be some fairly significant price drops by retailers on halogens, particularly on multi-packs. This is a pretty important buying decision - due to their much lower running cost, LEDs remain by far the better choice, but choosing instead to buy a few 5 packs of halogens could set you up for much higher running costs for years to come. So if you’re ready to take the plunge, here's a few tips for upgrading. 1521. Henry VIII was on the throne. No! 1521 lumens. This is the brightness of an LED bulb that you would use to replace an old 100W incandescent bulb. There weren’t so many of these around in LED form a few years ago, but now they’re widespread. LED bulbs rated at other figures between 1400 and 1600 lumens are out there, but 1521 is a common figure. 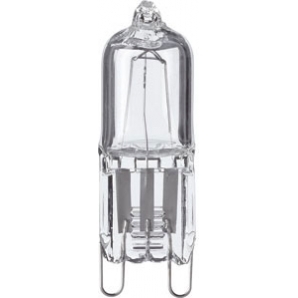 Here’s a halogen bulb for sale that is advertised to replace a 100W incandescent, actually rated lower at 1320 lumens. Most people will not be able to tell the difference between these 199 lumens when it’s in the ceiling, but any argument that “LEDs just aren’t as bright” is invalid. If it’s not, you might have bought the wrong bulb. And this has been one of the main issues over the past decade or so in lighting – consumers have not always been sure which bulb to get, and there is a lot of information on light bulb packaging. But any old CFL or LED is not going to be as bright as those old 100W bulbs – so remember that number. 1521. Of course, if you want something a bit less bright, you can have that too. This table lists the corresponding lumen values for the replacement of old incandescent bulbs. There can be a range of lumen values that are appropriate for a particular lighting situation, and we’ve also listed some common lumen values that you’ll often find bulbs available in. While it’s great to be fluent in lumens, let’s also consider the difference in energy consumption and cost you’ll get between a halogen and an LED bulb. You may have a 5-pack of halogens floating around the house, and perhaps they are labelled ‘Eco’. 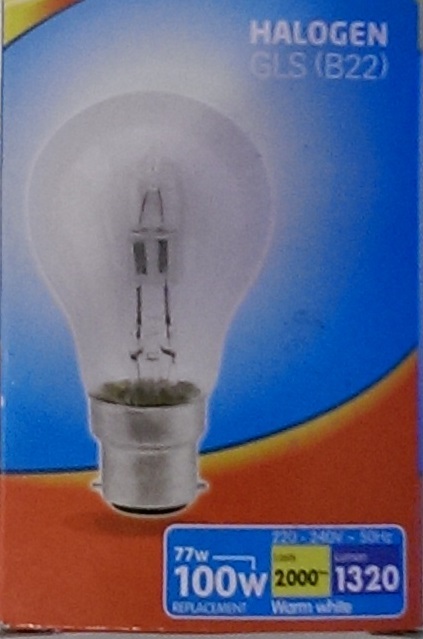 They are most likely D-rated, which 10 years ago might have seemed ‘Eco’ compared to F or G rated incandescents. But take a quick look at the energy consumption of the halogen – 77W. This is a lot, and most certainly not 'Eco'. As a comparison, this is about what this 55” TV (albeit an efficient 55” TV) uses in on-mode. 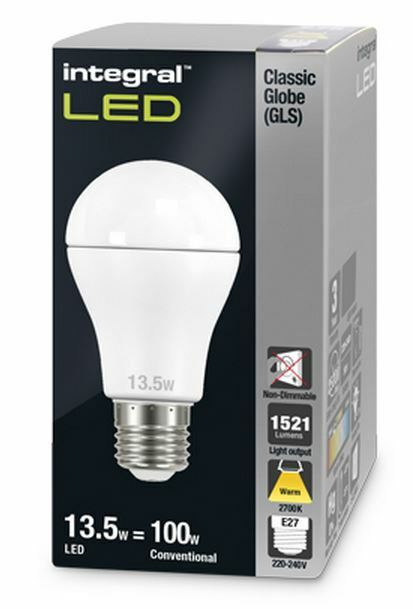 An LED GLS bulb will do the same job for a lot less energy. Most LED bulbs designed to replace 100W incandescents (and now 77W halogens) can provide the light you need while drawing around 14-15 watts. This table shows approximately how much you’ll save from upgrading one bulb in the home. If you have more than 10 bulbs, the savings start getting big. In the early days of LEDs (and when CFLs were more widespread), a common complaint was that light given off was ‘too cold’. Some of this was industry growing pains, and some of it might have been that people bought a bulb with the wrong colour temperature. If you want your place to feel warm and cosy, look for a bulb that’s about 2700K. Every LED manufacturer does bulbs in this colour. LED filament bulbs could be a good choice here as well. Do you want to go vintage? 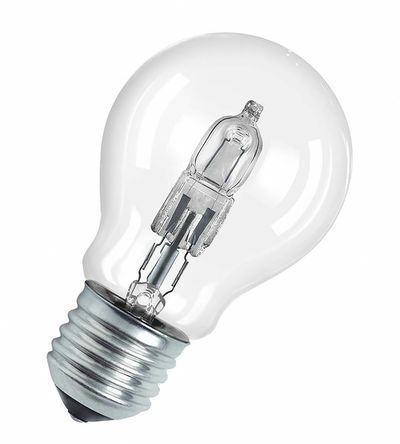 Some filament bulbs will go lower than this, to 2400K and even down to 1800K. Do you want the room to look cool and sleek? You might want to get a 4000K bulb in this case, perhaps for your bathroom. Again, these are very widely available. But if you’re not sure, as mentioned in the Energy Saving Trust’s recent lighting design blog series with Graham Festenstein, you don’t have to change all your bulbs at once. Buy one, try it out, see how it looks. LED is the state of the art lighting technology, but all LEDs are not created equal. There are a huge amount of products on the market, and some of the very cheapest are not of good quality. Choose a reputable brand, and look at the warranty. Some manufacturers allow you to register your new bulbs in case something goes wrong. Buying from a specialist lighting retailer who knows a little more and can give recommendations about their experiences of different brands is a good shout. Prices have gone down significantly – the days when many LED bulbs were around the £20 mark are long gone, taking some of the pain out if they fail early, but it’s worth spending a few quid more in the long run. 5. Be creative – and less may be more….. The average UK home has around 34 lightbulbs. Some houses have a large amount of halogen spotlights in the ceiling – in some cases these may be actually giving you more light that you need. There are certainly some staple locations for having bulbs in the home, but you may be able to create some nice effects by not being tied to having your brightest bulb in the ceiling, and save some energy in the process. 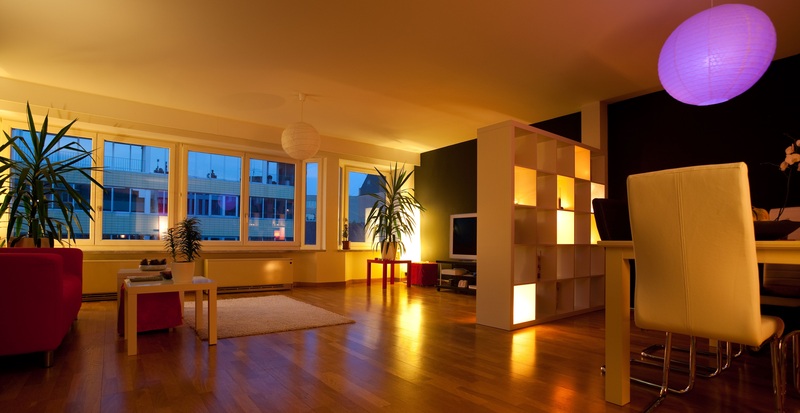 Floor lamps can create different effects, especially when you don’t need a lot of light (for example if you’re watching TV) and there are LED options available to replace anything inefficient that might be hiding behind a lamp shade. Tunable or dimmable smart bulbs could also be a nice touch to vary the light colour and brightness. So why not have a think about everything you’ve got in your home and what you could change, including the bulbs that might get left on all the time by mistake, and the ones that aren’t used as much. A low energy lighting makeover could be just what your home needs to get through the rest of the dark months until spring. Want to know more? You can also read our lighting product guide, or view the product lists in the lighting section.